We are a leading Manufacturer of theater chairs, movie theater chairs, theater seats and theater seating chairs from Bengaluru, India. 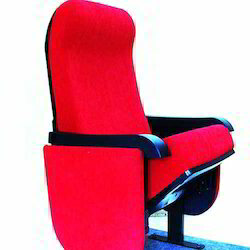 We are enlisted as industrial prominent manufacturer, supplier and exporter of a wide array of Theater Chairs. Our Theater Chairs are highly demanded amongst our clients as these chairs are very attractive and are offered in various specifications and features. These chairs are offered with wooden armrest and back rest support. Apart from this we offer these Theater Chairs at very low rates. Price Range - It varies From 5200 Rs to 6700 RsWe have more than 20 colours for these chairs. Keeping in mind the vast requirement of our esteemed clients we are engaged in manufacturing, supplying and exporting a wide array of Movie Theater Chairs. Our Movie Theater Chairs are very comfortable on any one can stretch himself and get the maximum comfort on it. We manufacture these Movie Theater Chairs using best quality raw material that are sourced from reliable vendors of the industries. We are engaged in manufacturing, supplying and exporting a wide array of Theater Seats. Our Theater Seats are made under the strict observations of our industrial experts who hold vast expertise in their domain. Additionally, these Theater Seats are offered at very reasonable rates. 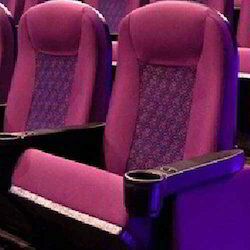 We are enlisted as leading manufacturer, supplier and exporter of a wide array of Theater Seating Chairs. 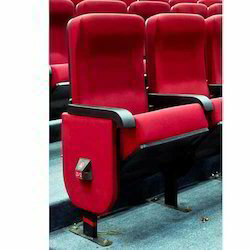 These Theater Seating Chairs are highly demanded amongst our clients as these Theater Seating Chairs are made using best quality raw material with metal frame construction. These Theater Seating Chairs are widely praised due to its excellent finish and long lasting nature. 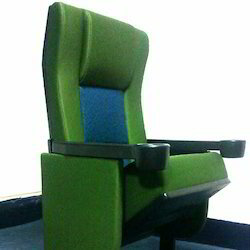 Moreover, our clients can avail these Theater Seating Chairs at very affordable rates. Looking for Movie Theater Chairs ?